Thanks for visiting Silly Wonk Book Blog. 'Silly' means an idiot or fool. Meanwhile, Wonk is a person who loves studies or hardworking. So, I guess I'm not lack knowledge but pretending like someone who lack knowledge because I loves to learn or study at all time. I'm an intelligent or sharp brain character but humble and still thirsty for learning. I'm proud got this phrase as my name because I'll never feels I'm a highly intelligent brain and never act arrogant in every knowledge I knew. I'm believe that I'm a human being same as you. Imperfect and must never stop learning about everything - Forever. I'm a yellow 'dizzy egghead' character created by this blog owner or author. So, perhaps I'm her mascot for this blog? or just an ordinary logo? Lol! I'm not sure but I kind a happy my existence here. I loves to carry a book at all times. That's the reason my friends called me 'Book-Bosomed' and I really proud of it. This is my first photo that my creator share with me on 18th August 2018. So, weird when you born in this face, right? If you want to spending time with me, you can visit me in my favorite event called 'Silly Wonk Speaks'. Then, if you want to know what my opinion about some books that I has already read, you can visit me at 'Book Review'. My creator as an owner and an original author of Silly Wonk Book Blog. My job here is helping her to write anything for her side. She's Mrs. Sofinah Lamudin. her nickname is 'Sofie' but she loves to spell her nickname as S-o-p-h-e-e. She was born on Malaysia Day (September of 16th, 1990). What a lucky lady, right?. Married in 2014 with her beloved 'Mr.Bee' who always support on everthing she loves to do. She's an art lover, cat lady, book lover, a blogger and currency trader. Huh! What a multi-human yah! Lol! Currently, she got two cats. Chokey and Betty. I'm afraid were be eaten by them. Hhuhu.. or maybe will get claws because they look pretty jealous at me right now. This is her. Mrs. Sophee. She joined the blogging world since 2006 but failed to maintain the old blog. Well, a teenager trying to write about life that she's doesn't understand? Must be weird writing. Isn't it? 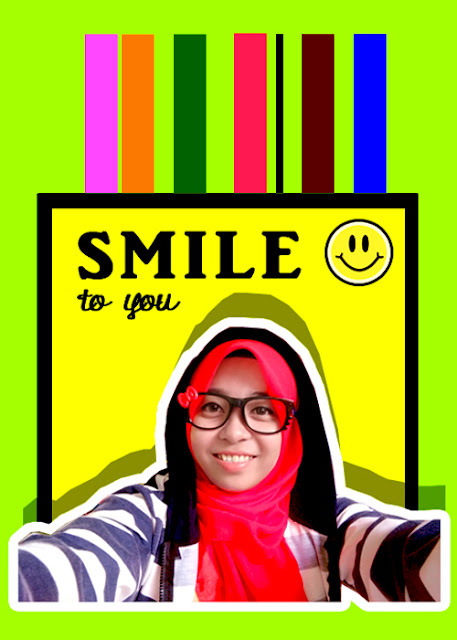 Hhaha... Then, she tries blogging again in 2011 at www.sofinahlamudin.com. She succeeds to stay long as a blogger. 6 years later, In 2017 she joined Kelab Blogger Ben Ashaari to makes friends in a circle of bloggers. I hope she'll get more achievement very soon. On 18th August 2018, she decided to create me and Silly Wonk Book Blog. Special for her reading. As challenging her ability in reading in the English Language. Besides, she loves to write a review about every book she read. So, that's means, I was born as a yellow dizzy egghead on 18th August 2018. What a lucky number yah! 1-8-0-8-1-8 . I also hope she gets the strength to consistent on me because I don't want to be an alone reader here without her. I love to read with her. She loves to read self-help, motivations, business, relationship, health, history, fantasy, sci-fi and learning genre books! Same as me! We're connected! Any questions, please do not hesitate to send her an email at admin@sofinahlamudin.com. 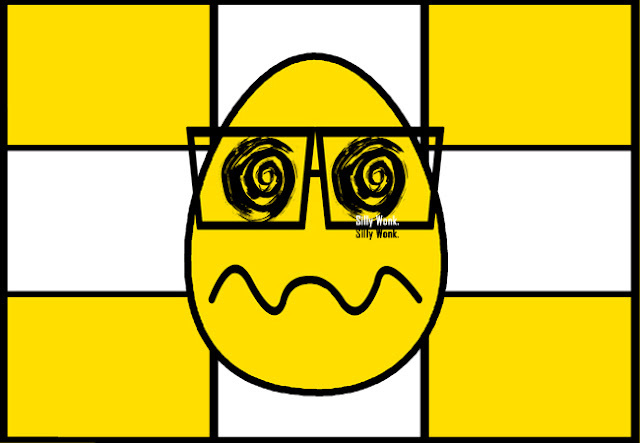 I'm an yellow egghead that have often feeling of fool and dizzy. It's okay! Because I'm believe that I'm a human being too. People called me Wonk whom always being a book-bosomed. More about me, please CLICK HERE. Share book reviews and ratings with Sofinah, and even join a book club on Goodreads. Sofinah has read 1 book toward her goal of 55 books.